The off-white "Cocoon" bathrobe is for both men and women. 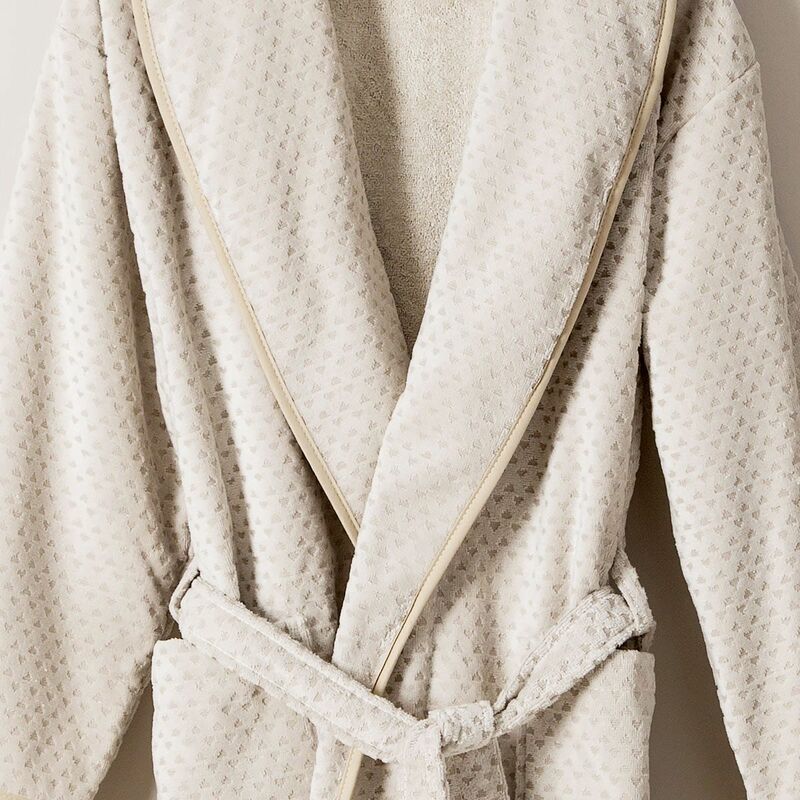 The outside is in off-white jacquard velvet covered with small triangle patterns, which brings to the bathrobe a very soft touch. The inside is in 100% cotton towelling, very absorbent . 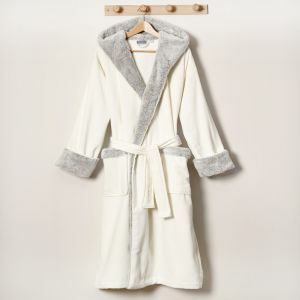 Its double layer of fabric makes it a cozy, warm and comfortable bathrobe. 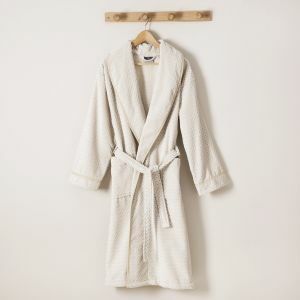 You will appreciate its quality finishes, the bathrobe Cocoon is edged with beige cotton bias binding at the neck and wrists. It has a belt held by two loops at the waist, two large patch pockets and a loop at the collar to hang it easily. 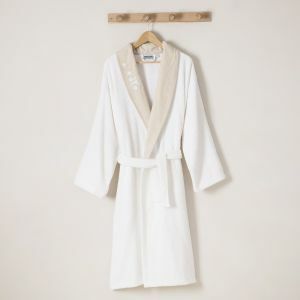 This bathrobe comes in 5 size from XS to XL. 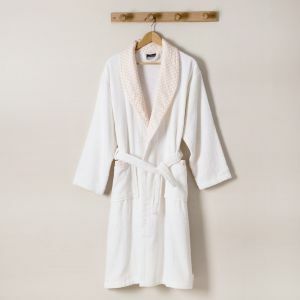 Off-white jacquard velvet bathrobe and 100% cotton sponge, man and woman. Excellent quant à l'aspect et au toucher, à voir avec le temps !